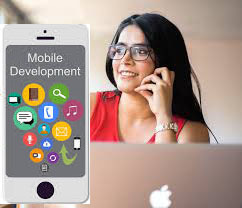 The desired candidate would be eager to give the best vision for the mobile apps he has developed on google play store or apple store for Ios .It would give you an upper glimpse of the developer’s knowledge, his skills & experience. 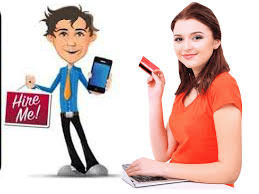 Asking the candidate which phone he has, also provide some handful information .If he is expert at iPhone app development , he would have the habit of playing with the apps on Apple Phone . The same things apply for the android & blackberry phone also. If your soul aim is to make money, the developer should know that how & what features to build up that help to generate money. You may choose pay-per-download revenue model for your app .charging around 99 cents to 4 $. For a free app, beware that the candidate well knows how to integrate mobile display ads, in-app purchases or paid subscription services. The Quality of your app also depends on how well you communicate your apps functionalities & design aspects .Be sure how the developer like to communicate using Skype, instant email or popular task management system like 37 signals. How frequent he provides you with status updates. The Best android app development company or iPhone developer always looks for these quality checks. In apps, proper innovations & special flavors are needed for grabbing consumer attention. Inquire whether the developer can add the social media plugins, GPS check-ins or 3-D gaming features for your app. The company paying for the mobile app or the individual would own the mobile .You and the app developer should have “copyright assignment” or “work made for hire” contract. The document should state that you eventually own the app’s source code, its design and all of its content. The best way to test an app is to run it on the smartphone for whose platform it would be serving. Be sure of how the developer fixes the bugs using Beta Testing. After Beta Testing, the next step is to submit the app for approval on the Play Store .It is a multi-step process. These are the worth noticing points for edge cutting iPhone app development company or android developer. Draft an agreement on how to pay the developer, by hour or flat fee. The most basic mobile apps price from $1,000 to $5,000. So, it is not better to spend for them by hour. Most complicated apps such as 3D gaming or data driven cost even a thousand more.